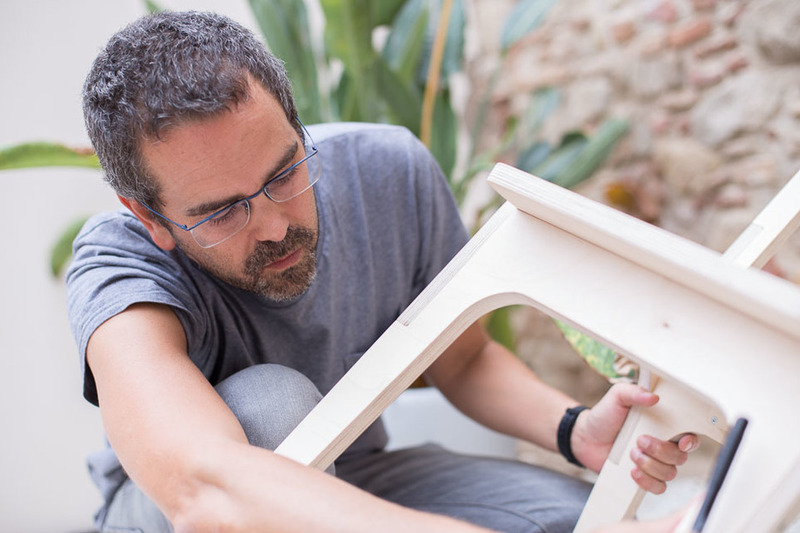 Jose Pacheco designed his first Slim Chair as part of an experiment at FabLab Barcelona. 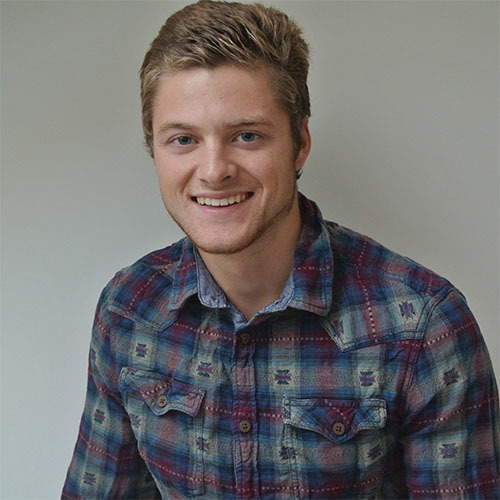 With his background in engineering, he approached the design of his chair with incredible detail and rigor. 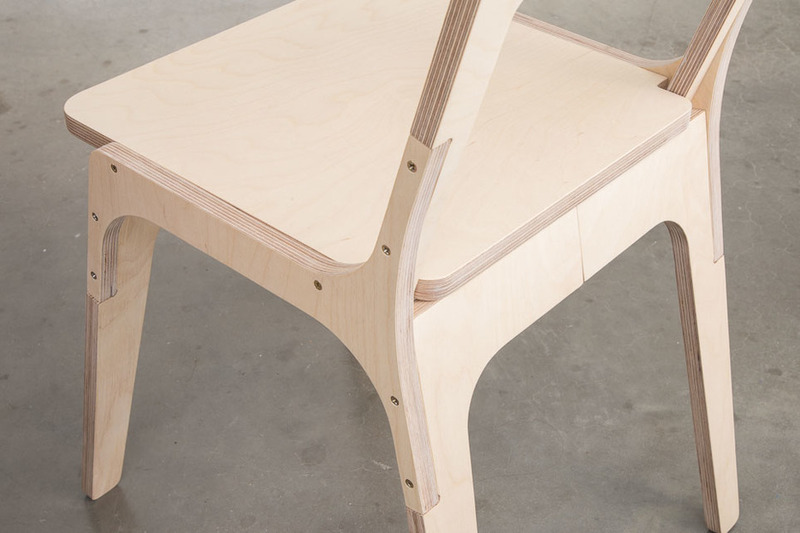 We take a closer look at the Slim Chair and its journey from FabLab to Opendesk. The Slim Chair is the perfect addition to any home office. 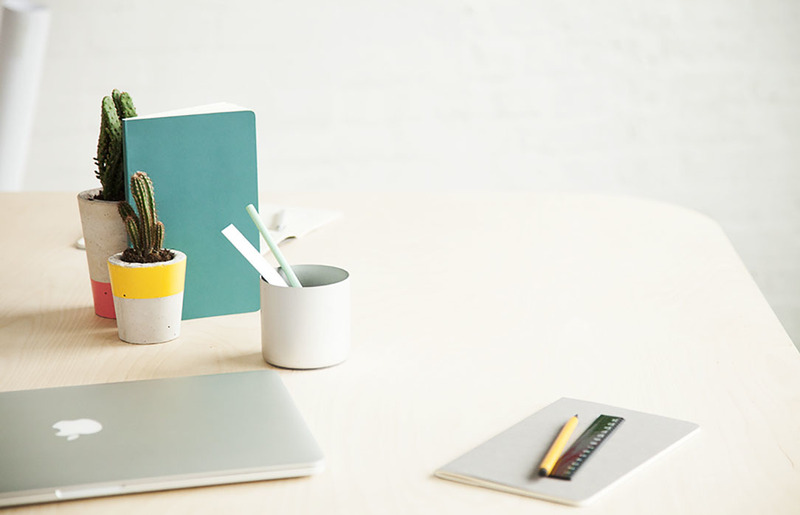 This simple, low-profile seat is modest in appearance, making it an ideal companion for desks of all shapes and sizes. Popular in the home for its inconspicuous design language, the Slim Chair also makes an excellent dining chair. In the office, the Slim Chair provides a perfect perch for breakout areas or quick team meetings. Our latest design revamp is an exercise in material efficiency. The original Slim Chair, whilst beautifully resolved in design and structure, was not the most material friendly. It was only possible to cut three from a single sheet of 8’x4’ birch plywood. Chairs are commonly available in sets equaling even numbers. With Jose’s help, the design team at Opendesk set about redesigning the chair with this in mind. 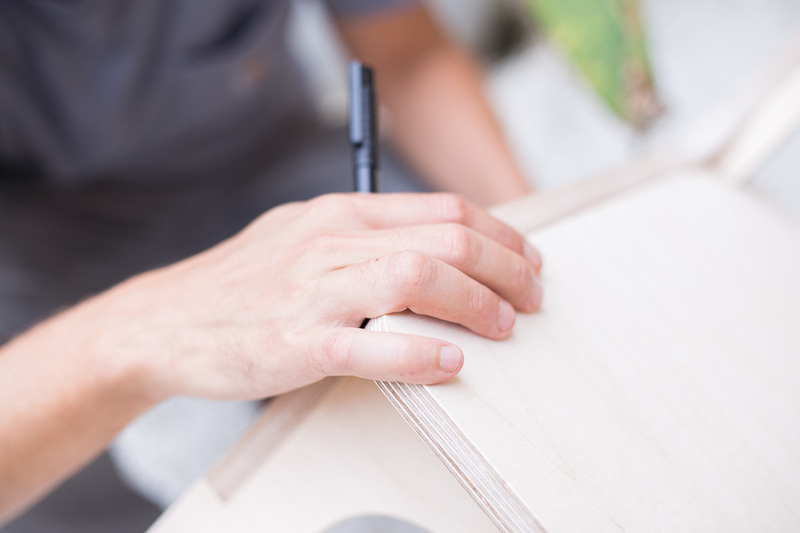 The target- achieve a nesting solution that would allow two chairs to be cut from half a sheet of plywood, and four to be cut from a full sheet. 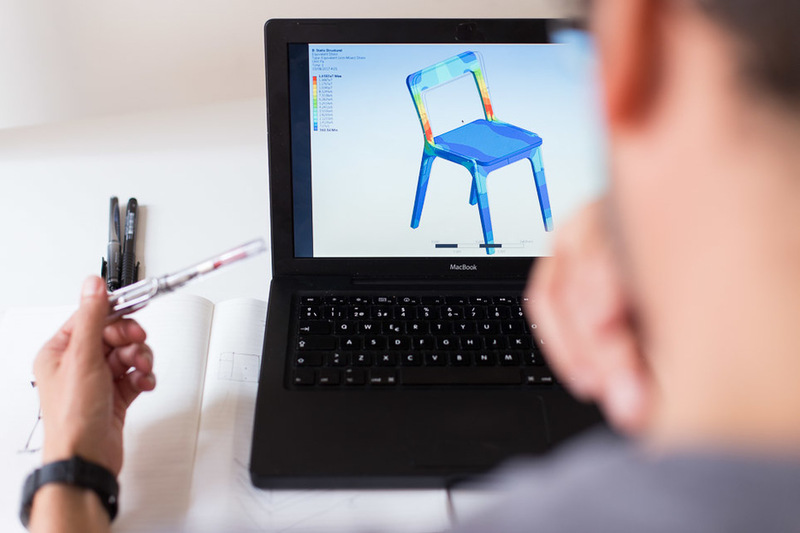 After painstakingly detailed design work, fighting for every millimeter, the design team and Jose reached a solution and the Slim Chair is now available in more attractive set sizes. 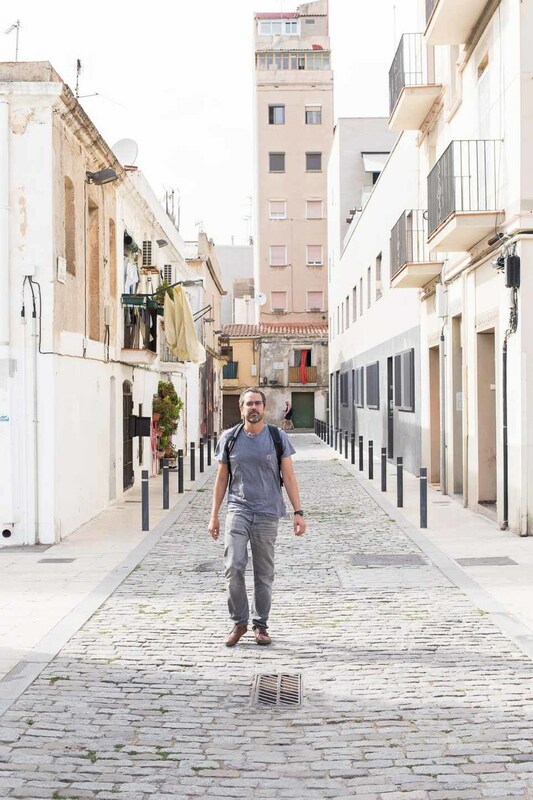 Jose has spent much of his life exploring Europe through his work as an engineer. 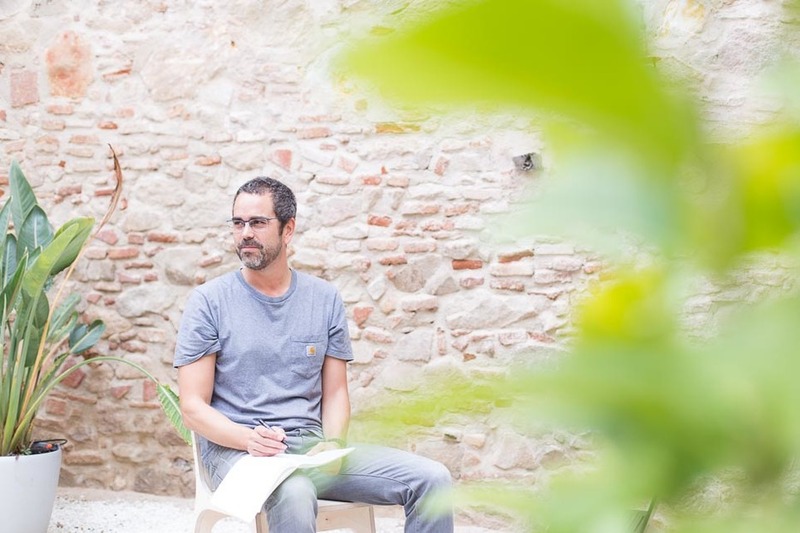 He has been settled in the Poblenou district of Barcelona for eight years now, with his wife and young daughter. 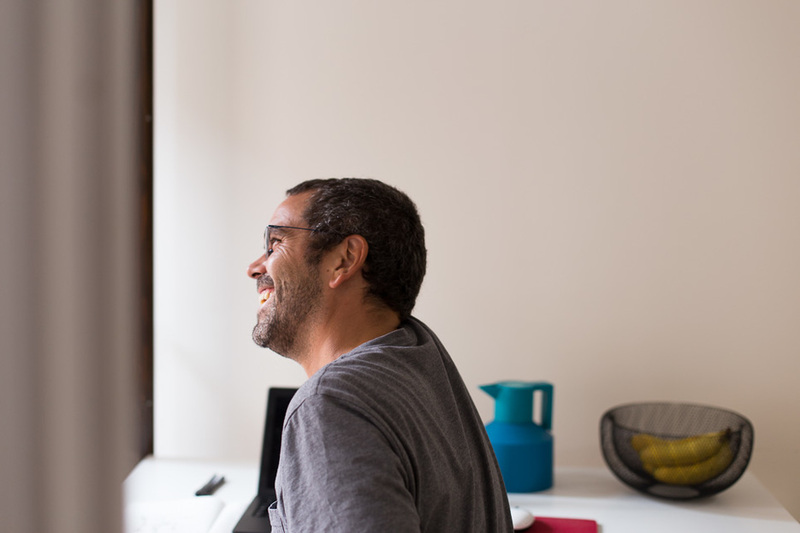 We caught up with Jose at his home in the Spanish city. 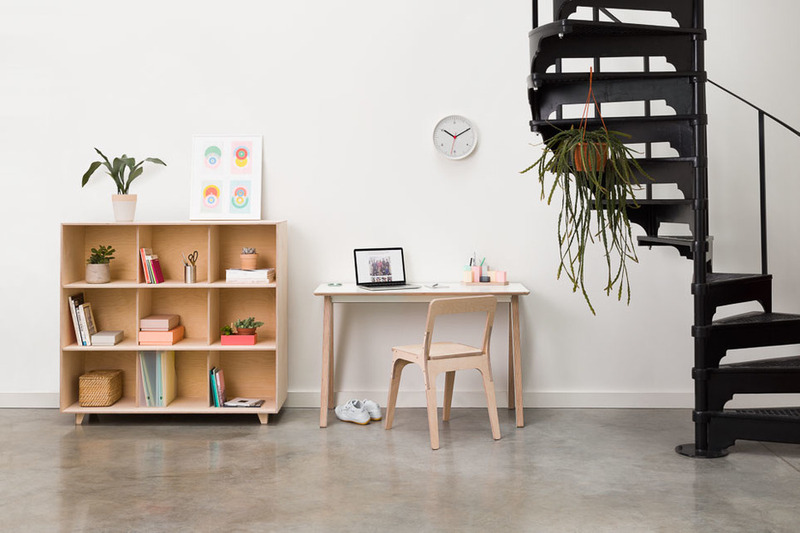 Opendesk: Introduce the Slim Chair. Why and for whom was it originally designed and what inspired you? Jose: The Slim Chair was one of many chair experiments where I attempted to use the least material possible to create structurally stable designs. 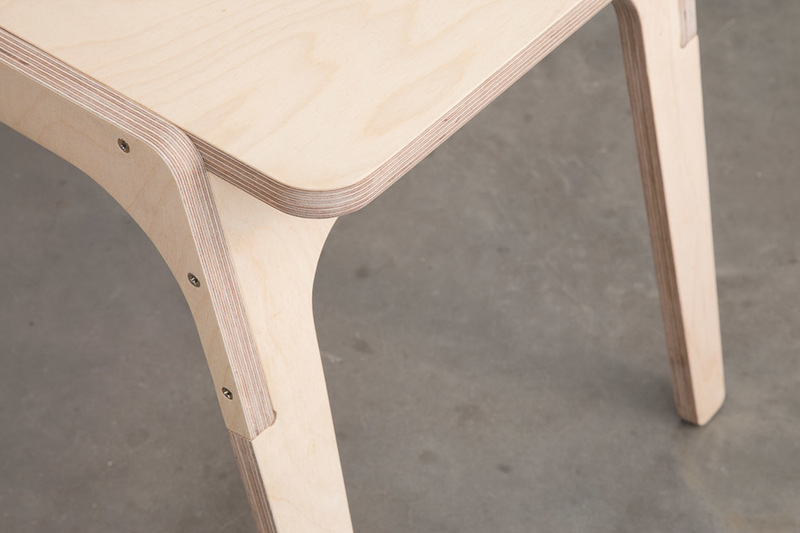 Plywood has exceptional flexural strength but this is rarely harnessed in CNC-milled furniture. 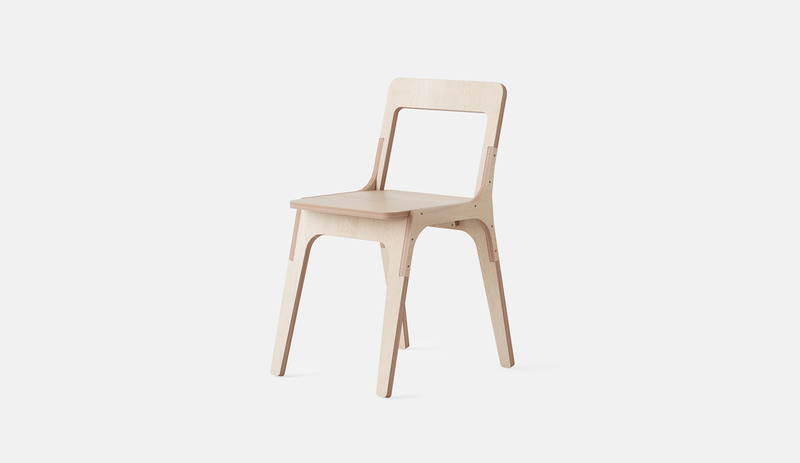 Many chair designs apply weight along its axis instead of trying to bend it. The challenge with flexural strength is in balancing bend before failure against the amount of material required to provide rigidity. Remove too much material and the bend will snap. Add too much material and the design will appear bulky and unattractive. I always wanted to create a beautiful, slender chair so I used computer simulations to resolve the problem, allowing me to find the exact amount of material needed to provide enough support. 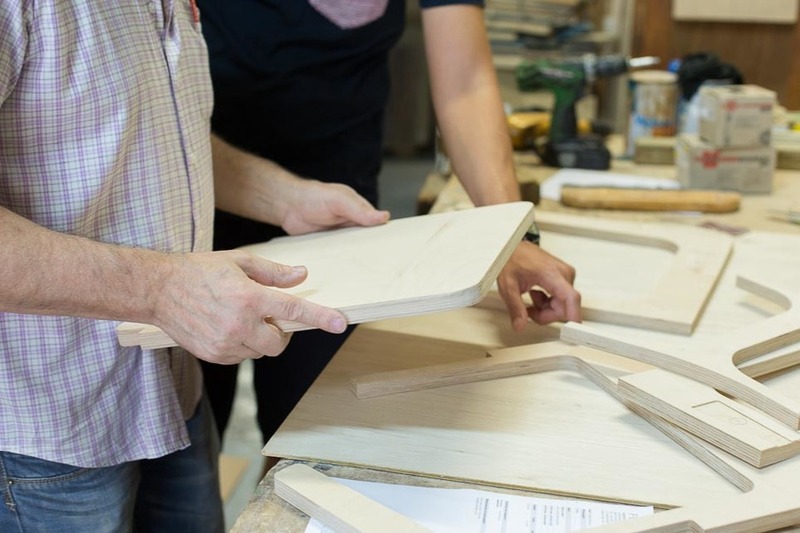 I started creating chair prototypes as a design and engineering experiment at FabLab Barcelona. The staff were wonderful and were a great help, especially Anastasia Pistofidou who is now at FabLab Chile. My early chair prototypes were crazy ideas and often ended in total failures. I used these experiences to learn about materials and ergonomics, constantly improving my designs. The staff at the Fablab kept encouraging me to continue trying new ideas until I finally cracked it. After only a couple of months, me, a person with relatively limited design and making skills, had created the first Slim Chair. 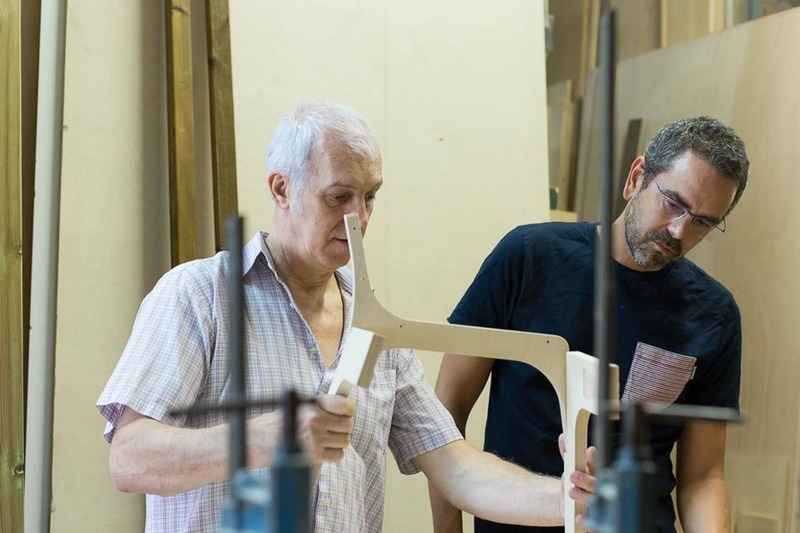 I occasionally make small batches of my Slim Chair in Barcelona and always work with Sergi Beltran, owner of Fustot, a modest wood workshop in Barcelona. 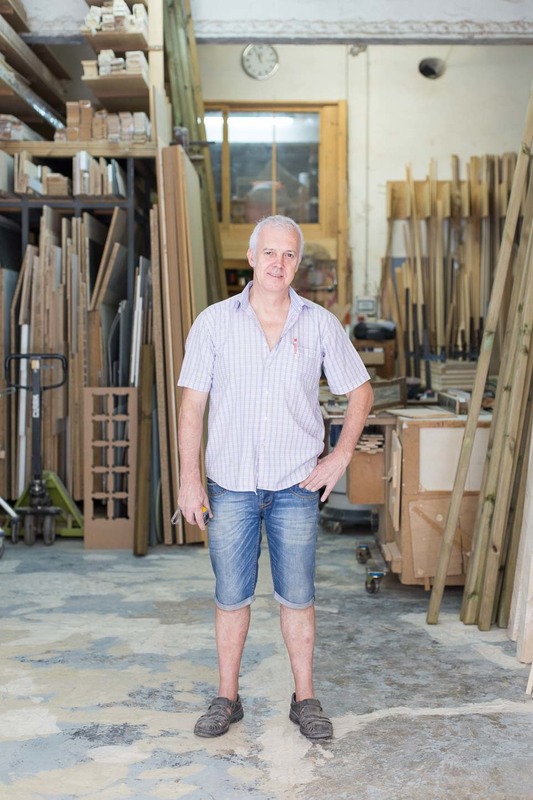 Sergi is the 3rd generation of woodworkers in his family. He’s also an Opendesk maker and I’m sure his great, great grandfather would be amazed to see how the landscape of woodworking has changed. 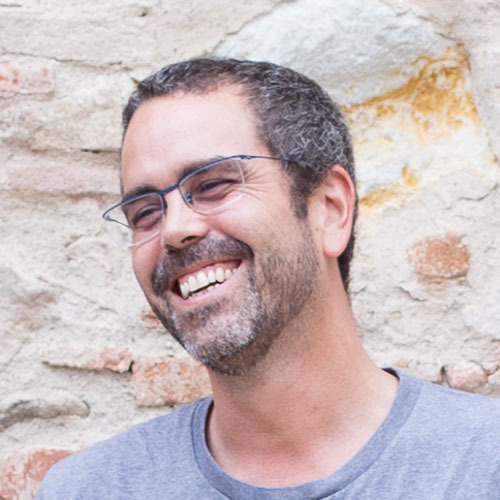 In the past, Sergi owned a large furniture making company, but was forced to close during the financial crisis in 2008. Now he runs the smaller Fustot workshop by himself and looks after everything from material supply and CNC milling to detailed hand craft. 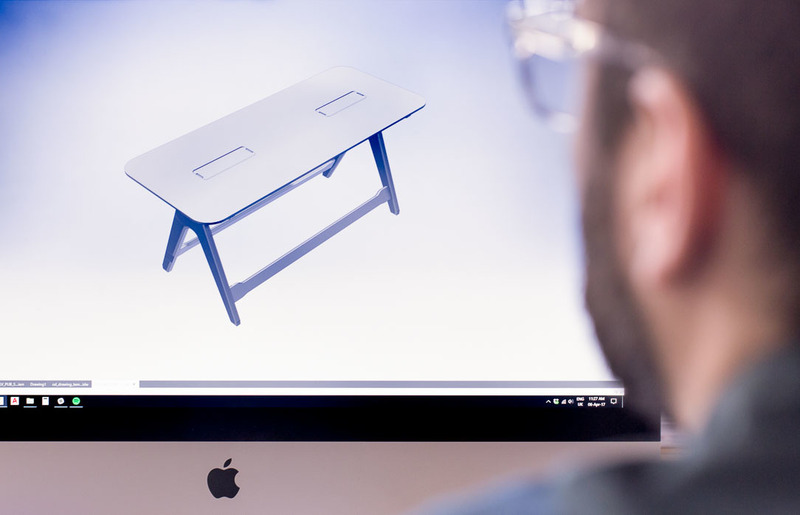 Opendesk: You shared the Slim Chair under a Creative Commons - Attribution license. Tell us more about your decision to do this? I like the idea of my designs being scrutinized and mutated rather than being plainly consumed. Creative Commons licenses allow this idea to live without forgetting about the author. Open and proprietary designs will always live alongside one another, but as digital design and making tools become more accessible we will begin to see more work shared openly (I hope). Props to these forward thinking brands! Once again we worked with great partners who provided props for our latest shoot to help bring Opendesk designs to life.